Comes in red or black, it’s all the same stuff! 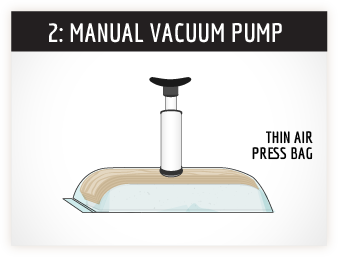 If we didn't use this stuff, when you started to pump the air out of your vacuum bag, the vinyl might suction down only in the one spot right under the valve, and may not evacuate the air from the whole bag. By placing this under the valve and across your project, it creates a pathway for the air to reach the valve. 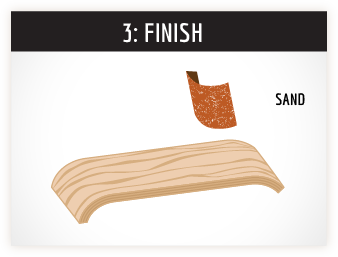 Use in a strip to lay over a portion of your project, a diagonal with both ends draped over the sides works best. Most importantly, position the breather directly under the valve to ensure the air finds a passageway out of the bag. It is not necessary to completely cover your project with the netting. You can cut the 6’ length into smaller pieces with scissors if required. Breather Netting is entirely reusable. 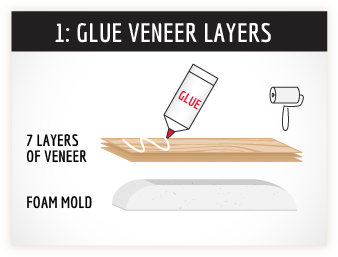 If glue is stuck to it, it will not affect it’s performance, but you can peel it off if you want to. A: Use any similar net-like material, as long as it will not adhere to your project if any glue seeps onto it during the process of laminating. Q: Can I cut this? A: Yes, you only need enough to cover a portion of your project. Use scissors.